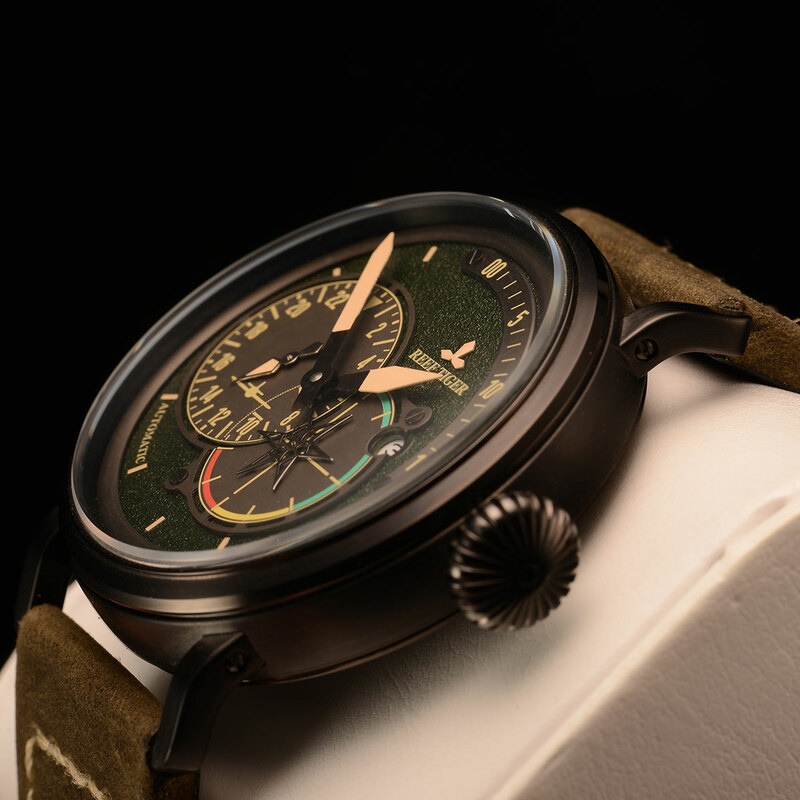 The Reef Tiger Aurora pilot Watch series is the most soldierly watch in Reef Tiger watches. 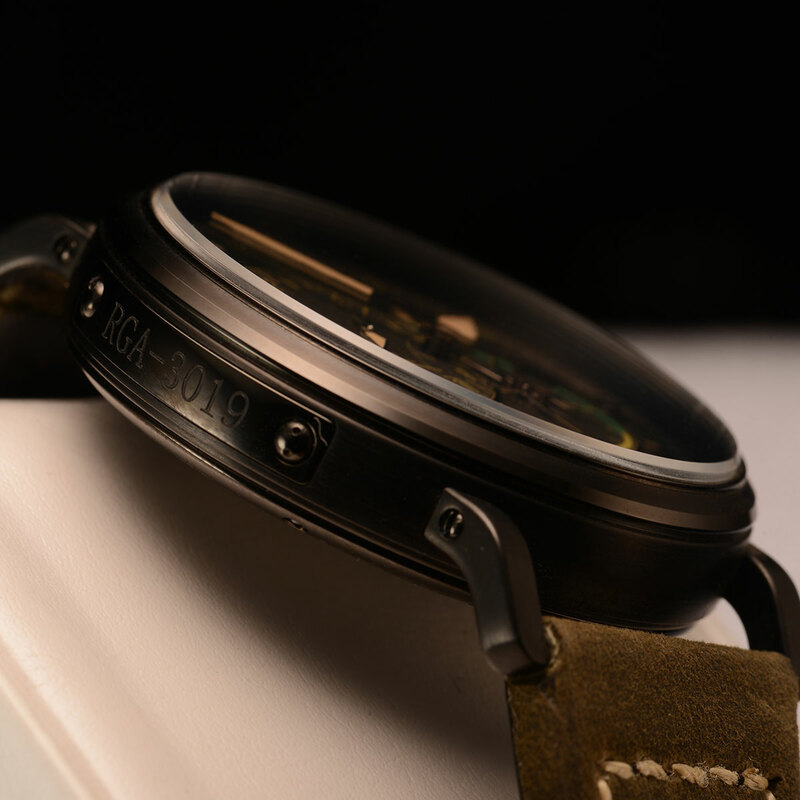 In order to further design the possibility of the aurora "pilot" series, Reef Tiger has made a type of wrist watch with retro style and excellent functions. 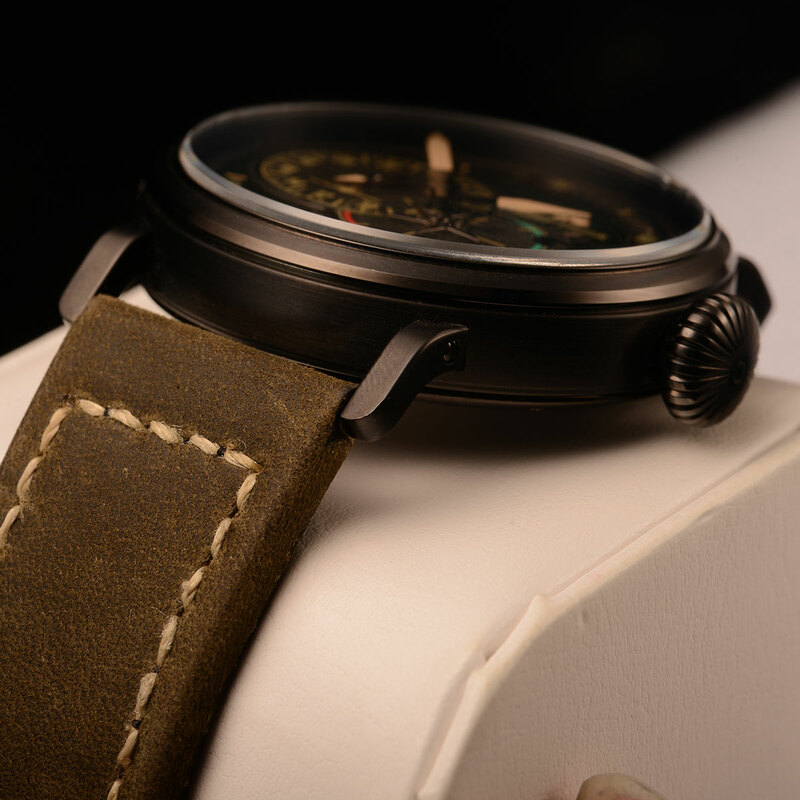 The new Aurora pilot series wrist watch has adopted the most characteristic of "onion" big crown and large size of the case and the plane panel sample. 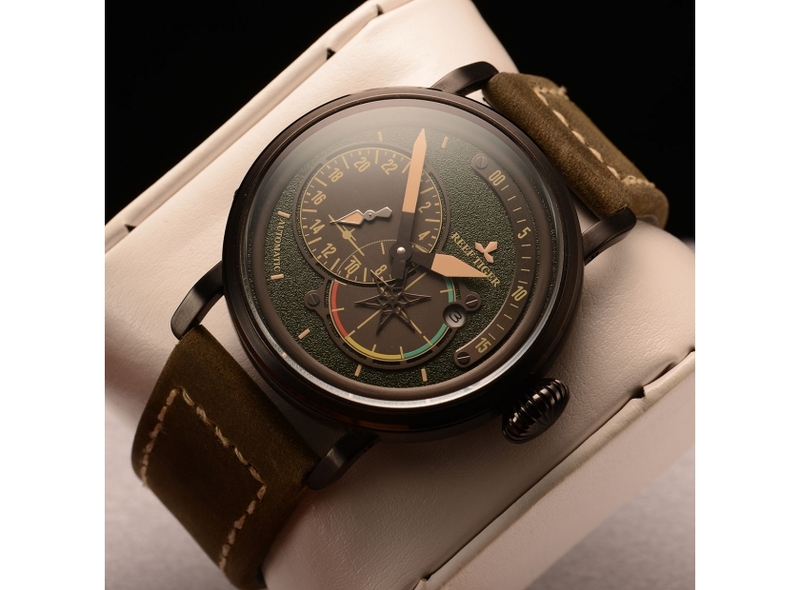 The latest pushed out Aurora pilot series wrist watch, as fly high imagination for inspiration. Operating dial with luminous. Mechanical quality shows the urgency in the sky and the pilots’ capability and great skill.Sapphire glass, sapphire watch ring 9.1 mm thick sapphire glass is anticorrosive, scratch-resistant and never wear, let art always clear. Super luminous’ amplification effect in the small space between dial shows hazy blurred, unique visual feeling like to burst through the mirror. It is well known that movement is the heart of the watch, the stability of the movement or not directly related to the life of watch wearing. Reef Tiger from watch factory innovation excellent movement CAL. 8810 movement, 24 jewels, and 21600bpm to ensure the direction error rate is less than 10 seconds. 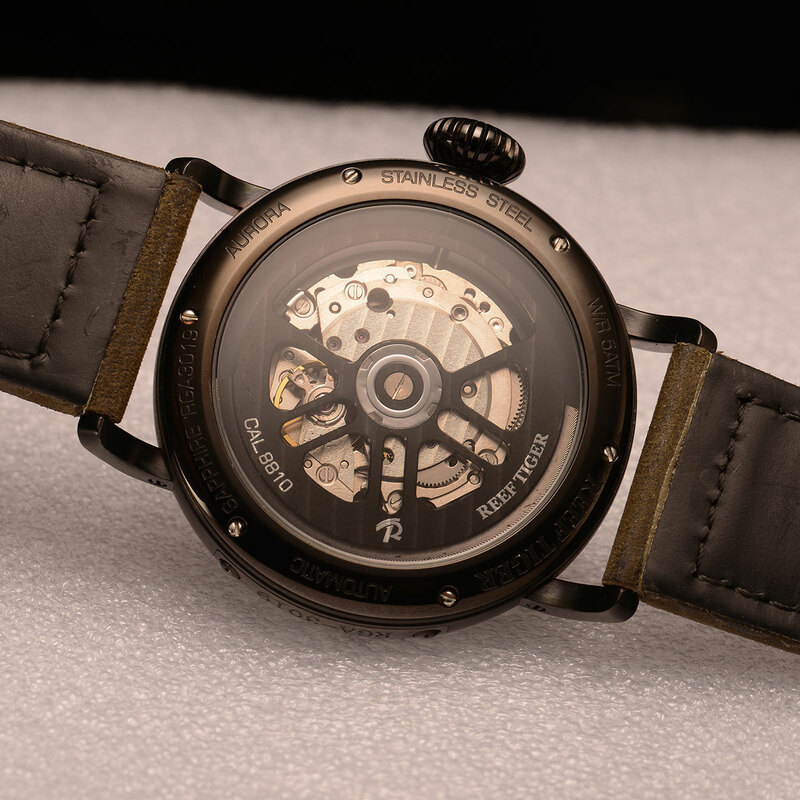 It is the core of Reef Tiger best watchmaking process.